Cambridge Weight Plan is your No. 1 weight loss programme in the world. Since its launch in the UK in 1984, we’ve helped over 30million people look and feel healthier by losing weight. 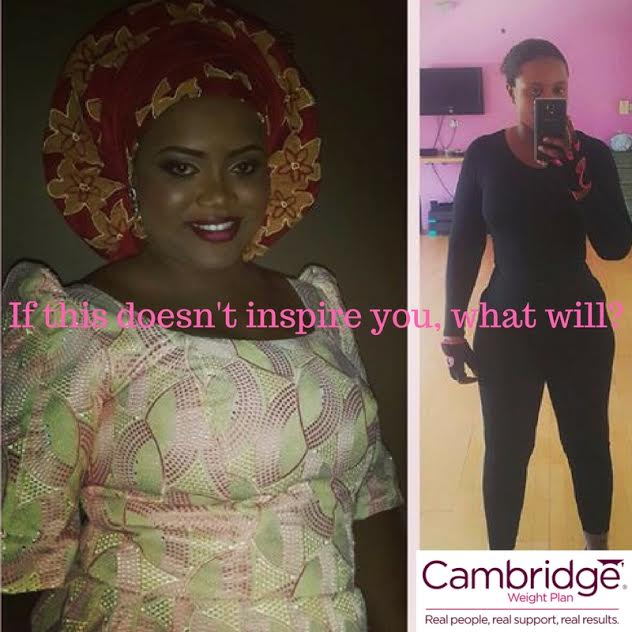 We want to help more men and women in Nigeria to fight obesity and reverse Diabetes Type II (According to recent study, it’s been proven that Cambridge Weight Plan helps reverse the condition of some Type II Diabetes patients). It has also been known to delay the early onset of osteoarthritis ­the most common chronic condition of the joints. Obesity has been associated with diseases such as sleep apnea, diabetes, high blood pressure, infertility and so many other diseases. Some of our clients whose infertility had been linked to obesity have gone on to have healthy babies after losing weight through our programme. With the help of our consultants, you are assured of 24/7 support throughout your weight loss journey and even after. Our consultants also suffered from obesity and that’s why they understand what you are going through because they themselves have been through the weight loss process. Thank you for choosing Cambridge Weight Plan Nigeria.